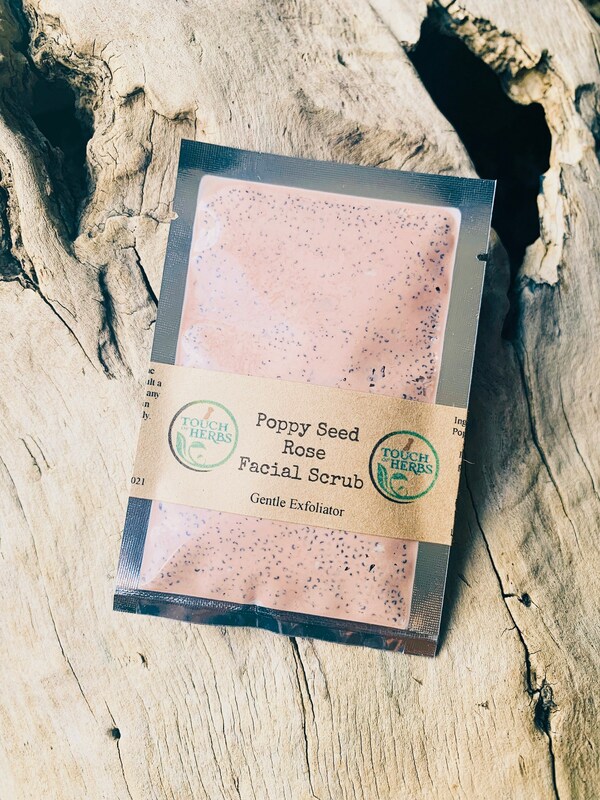 Poppy Seed Rose Facial Scrub. Gentle Exfoliator for All Skin Types but especially created for people with sensitive skin. Please know that we do not use any essential oils nor fragrances in our scrubs and most of our other products. The Scent of all our Facial Scrubs is naturally earthy. All our Scrubs are made with Herbal compounds and clays provided by nature itself. 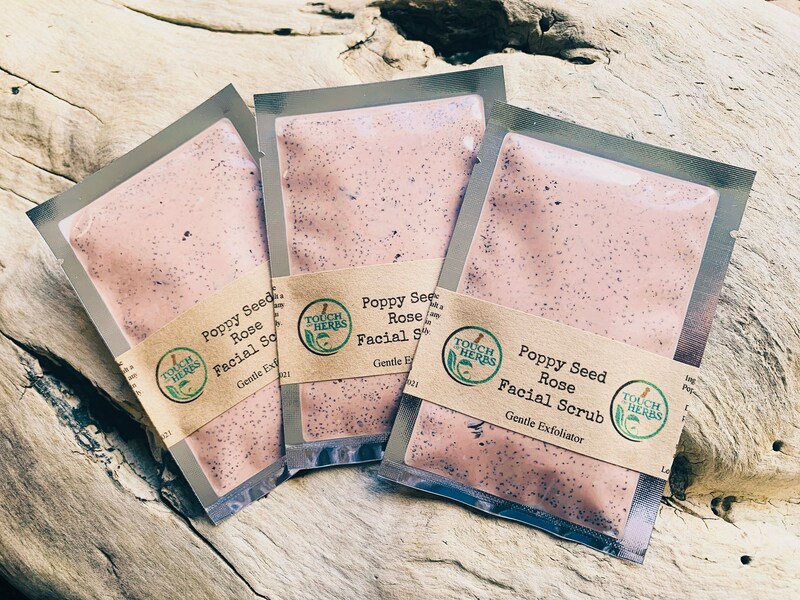 Our Single Use Face Scrub with dried Poppy Seeds and Rose is a very special and unique experience. It’s a very gentle exfoliating Scrub that will leave your face feeling like new. Yes, it actually does feel like a brand new layer of skin emerged from the deep surface . We created this Scrub for even the most sensitive skin types. It's very gentle due to the not coarse texture of the poppy seeds. The added Rose is also very skin friendly.